Korduba, Myron [Кордуба, Мирон], b 2 March 1876 in Ostriv near Ternopil, d 2 May 1947 in Lviv. Historian. 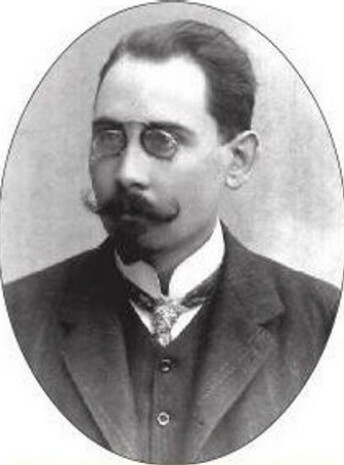 He studied at Lviv University (1893–5, under Mykhailo Hrushevsky) and Vienna University (1895–8). 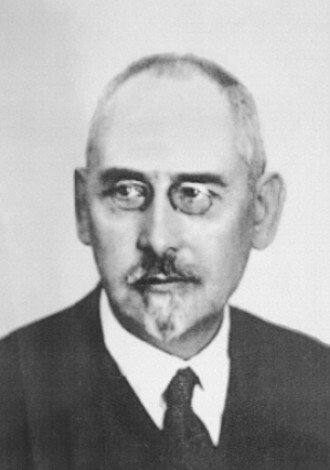 He worked as a gymnasium teacher in Chernivtsi (1900–18; see Ukrainian Gymnasium in Chernivtsi), Lviv, and Kholm and was a professor at Warsaw University (1929–39) and Lviv University (1944–7). In 1903 he was elected full member of the Shevchenko Scientific Society, and in 1923 he became director of its historical-philosophical section. After the Second World War he was a research associate of the Lviv Branch of the Institute of History of the Academy of Sciences of the Ukrainian SSR. Korduba wrote works on the history and historical geography of medieval Ukraine: they include, in Zapysky Naukovoho tovarystva im. Shevchenka (ZNTSh), ‘Persha derzhava slov’ians'ka’ (The First Slavic State, vol 13 ), ‘Suspil'ni verstvy ta politychni partiï v Halyts'kim kniazivstvi do polovyny XIII st.’ (Social Strata and Political Parties in Halych Principality to the Mid-13th Century, vols 31–2 ), and ‘Zakhidne pohranychchia Halyts'koï derzhavy mizh Karpatamy ta dolishnym Sianom v XIII st.’ (The Western Frontier of the Galician State between the Carpathians and the Lower Sian River in the 13th Century, vols 138–40 ). He wrote a number of important studies of Bohdan Khmelnytsky’s period: ‘Venetsiis'ke posol'stvo do Khmel'nyts'koho (1650)’ (The Venetian Legation to Khmelnytsky , ZNTSh, vol 78 ), ‘Proba avstriis'koho poserednytstva mizh Khmel'nyts'kym i Pol'shcheiu’ (The Austrian Attempt at Mediation between Khmelnytsky and Poland, ZNTSh, vol 84 ), ‘Borot'ba za pol's'kyi prestol po smerti Volodyslava IV’ (The Struggle for the Polish Throne after the Death of Władysław IV, Zherela do istoriï Ukraïny-Rusy, vol 12 ), ‘Mizh Zamostiam ta Zborovym (storinka znosyn Semyhorodu z Ukraïnoiu i Pol'shcheiu)’ (Between Zamostia and Zboriv [On Transylvania's Relations with Ukraine and Poland], ZNTSh, vol 133 ), and Bohdan Khmel’nyts’kyi u Belzchyni i Kholmshchyni (Bohdan Khmelnytsky in the Belz and Kholm Regions, 1941). He also authored many works on Ukrainian historiography and several on geography, toponymy, and statistics. 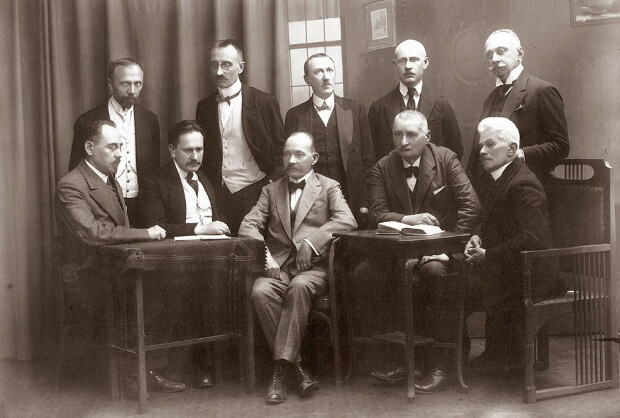 They include La littérature historique ukrainienne en Pologne et dans l'émigration ukrainienne (1929), La littérature historique soviétique ukrainienne: Compte-rendu 1917–1931 (1938; repr, 1972), and Terytoriia i naselennia Ukraïny (The Territory and Population of Ukraine, 1917). Besides these and many other scholarly works (including articles on Mykhailo Maksymovych, Panteleimon Kulish, Volodymyr Antonovych, and Mykhailo Hrushevsky), he wrote a number of popular histories, such as Istoriia Kholmshchyny i Pidliashshia (A History of the Kholm Region and Podlachia, 1941), Pivnichno-zakhidna Ukraïna (Northwestern Ukraine, 1917), and Iliustrovana istoriia Bukovyny (An Illustrated History of Bukovyna, 1906), and was a coauthor of The Cambridge History of Poland, vol 1 (1950).